Koninklijke Haagsche Golf and Country Club (Royal Hague) is quite a challenge but bring plenty of balls! 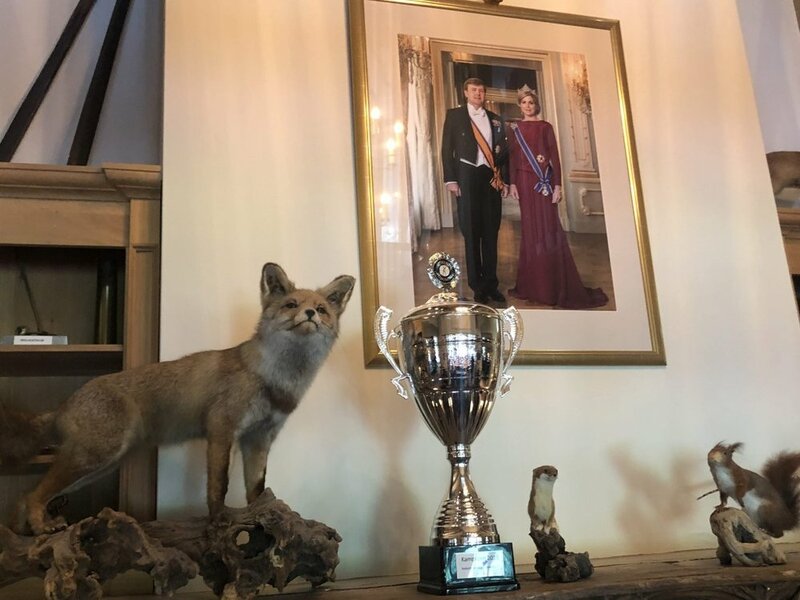 For some time now Koninklijke Haagsche, or Royal Hague as I shall call it for fear of typos, has held sway as the best course in Holland. Unfortunately, I didn't leave with the impression that this was the best course around - I found it a bit of a slog which didn't yield as much joy as I would have hoped. Having said that, it is testament to the quality of what else is on offer in the area that this course suffered in comparison. 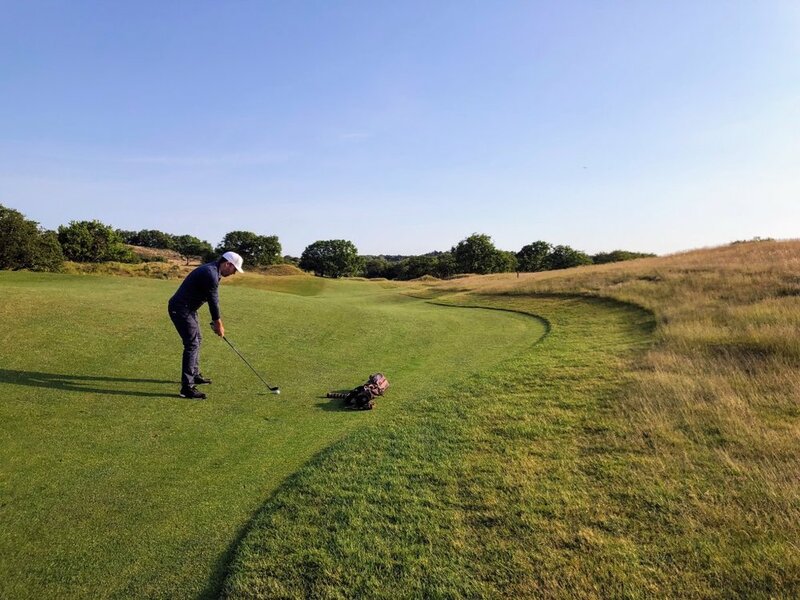 While golf has been played on this land since the end of the 19th century, today's course was created in the late 1930s and credited to Colt and Alison - with the latter having the lion's share of influence on its design. The course has several notable features. Firstly, forget everything you may expect about the course being flat. This is beyond undulating - more hilly. It is set in between towering dunes and you would have to be pretty fit, and very handy at golf, to enjoy 36 holes on on one day. Secondly, but linked to the first, there are a lot of aggressive table top greens, false fronts and severe run-off areas. There are very few greens you would consider running a ball on to. You need to carry all the way there and hope you hold it. Given the length of some of the holes, that was too demanding for me to particularly enjoy. We had some lower handicap golfers in my group and they were definitely advantaged by going in with loftier clubs with more chance of holding. The next slight downer I had on the place was that the rough was really very thick in places, grown in quite harshly and often full of thorny bushes. Now you might say 'just don't hit it there', and that argument would have some merit (! ), but hitting a blind tee shot to a 20 yard wide fairway does make it pretty inevitable at times. I don't want to be all doom and gloom. The welcome we got was warm, as it was everywhere in the Netherlands, and the clubhouse was very pleasant, if a little more formal than some of the others we saw. The course was the best presented of all of those we played. Where it was allowed to breathe and relax a little we had some fun and I certainly didn't come away hating the place! 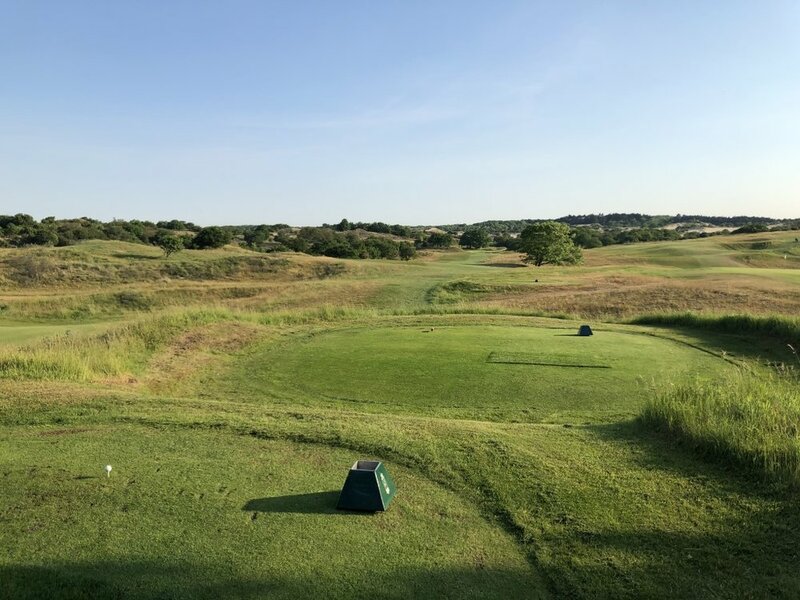 If you are looking for a hole by hole guide then I would encourage you to look at this article from David Davis on the top100 site. He clearly enjoyed it a little more than I did and gives you a good guide to what to expect as you go round. This course feels like it has so much unfulfilled potential. This is golf on a grand scale. Standing on the 1st tee it felt like we could be looking at Europe's Shinnecock. But whereas I found Shinnecock very playable, though challenging, this just didn't meet that standard. Maybe it prides itself in being the 'ultimate challenge' or revels in the toughness but that sucked quite a lot of the pleasure out for me. Apparently there have been some changes in recent years which have made an impact. Some of the scrub has been cleared out (more please!) and the greenside bunkers have been worked on - they looked great and played really well. But for me this course is still a work in progress and doesn't deserve its current status in the World Top 100. I would have no hesitation whatsoever in putting Utrecht de Pan there, but Royal Hague? I don't think so. Like everywhere in The Netherlands, there's no online booking facility but they were nice and responsive to an email. Times are restricted for visitors to Monday-Thursday before 11am and after 2pm and just before 11am on Fridays. However, one major logistical hurdle is that, in order to protect pace of play, fourballs are not allowed. In discussion with them before arrival this was described as 'non-negotiable'. 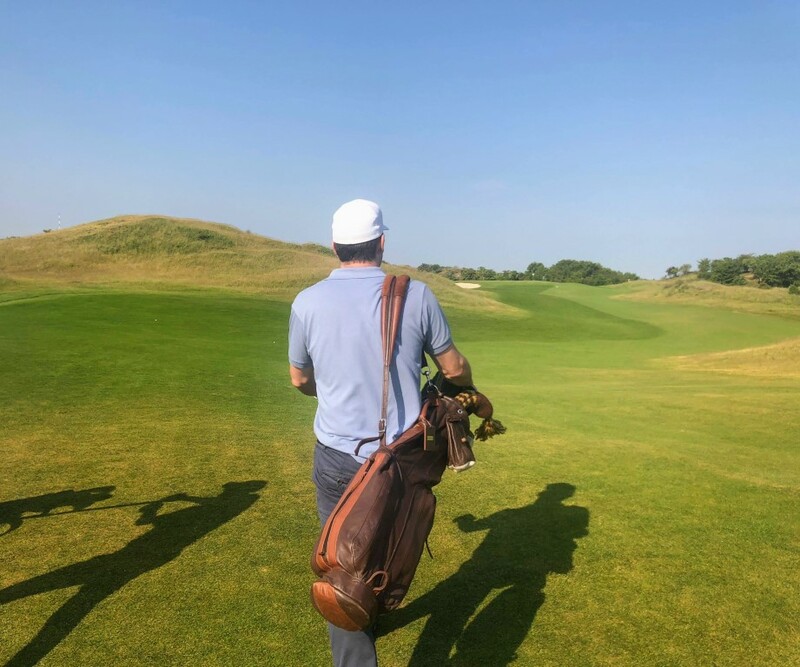 We have been doing this particular golf trip for almost 20 years and have never split up the 4-ball so we took a bit of a gamble and booked an early tee-time in the hope that it would be quiet and we could talk them into letting us out. We got there at 7:30 for an 8:10 tee time and until 8am there was not a soul in sight. Then a very pleasant chap came along and said we could go out as a 4 so we were sorted. That did feel like it was all a bit too much effort though. I appreciate the pace of play point but most courses in the UK that are 2 or 3 ball courses will have a couple of slots a week for a fourball to go out. The green fee is €150 a person and this was the highest we paid on the trip - the other three courses we played all offered better value. Royal Hague is on the same piece of coastline as Noordwijkse and Kennemer (about half an hour to the south of the former and 45 mins from the latter). While it is perfectly feasible to get in 36 holes in the day with a combo of one of those, Utrecht would be a bit more of a trek. 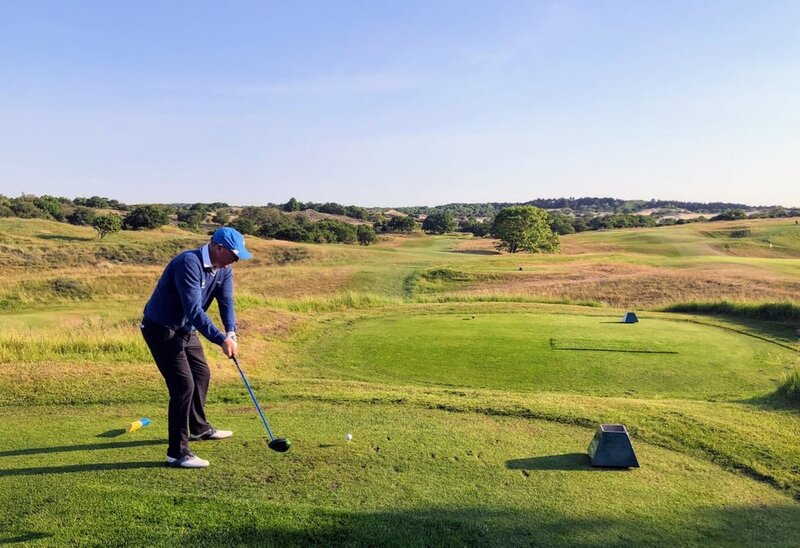 For full tips on a trip to the Netherlands for golf and some ideas on an itinerary have a look at this blog.